First off, let me start by saying HAPPY FOURTH OF JULY!!!! And HAPPY BIRTHDAY to my beautiful mother, even though I don’t think she looks at my blog. Oh wellz! I went into Target yesterday after work to pick up some supplies because I’m making mini s’more cupcakes for a cookout on Saturday, but of course I had to look all over the store for some good deals. I made my way over to the dollar aisle and I found a couple things. I was growing out of the jar that I had been using for all of my pens, pencils, and markers so I figured they would be perfect. I love the black and white design! 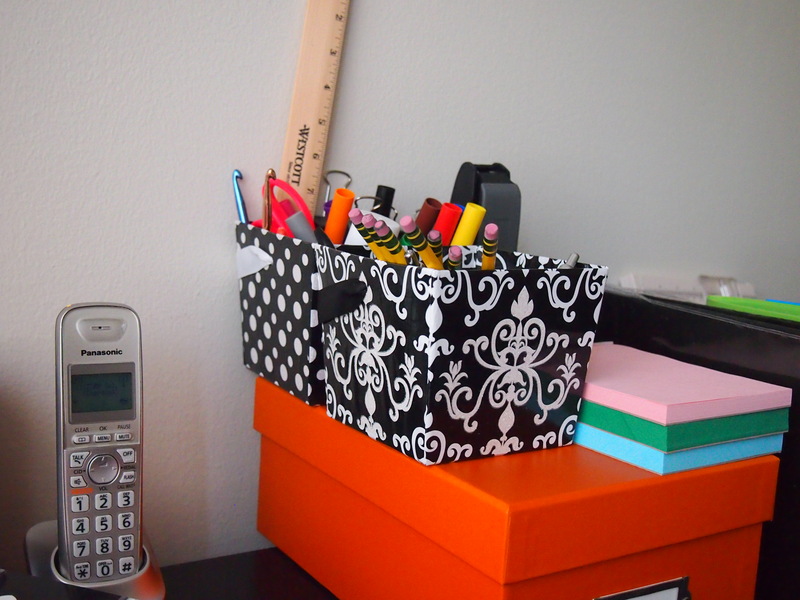 The mini cupcake liners that I go for the cupcakes I’m making on Saturday have a similar black and white pattern as the front box. I’m super excited to use them! Burger Trays $1.00 for 4! Don’t laugh! 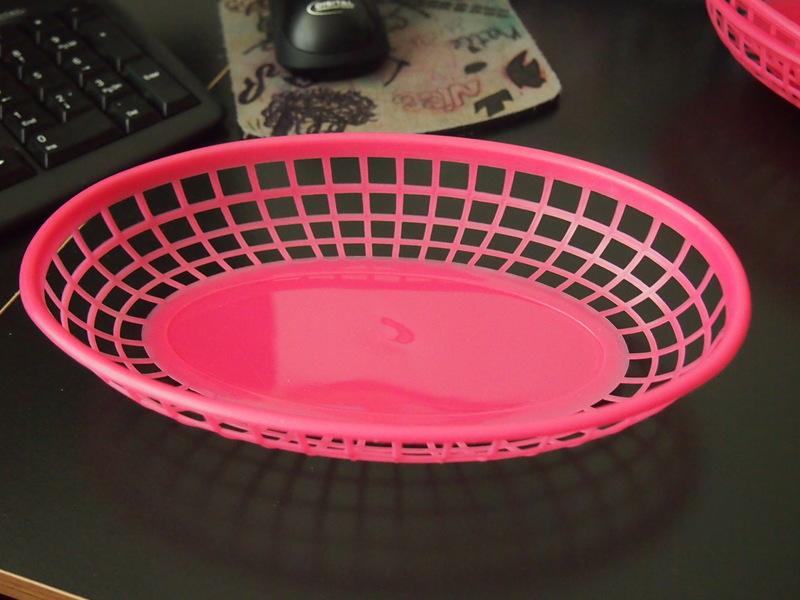 I don’t really even eat a lot of burgers and I highly doubt that’s what I’ll use these little baskets for but I will find a justification for this purchase! I just don’t know what it is yet – haha! But stay tuned! Then I was walking around the rest of the store and found something super awesome! Target has a 6 Qt. Sterilite storage box with lid for $.97! You can use these types of boxes for a lot of different things. On the label on the box it shows that you can put a pair of shoes in but I came up with a couple extra ideas, even though there’s endless amounts of things you could do with a box like this! In drawer storage compartment! 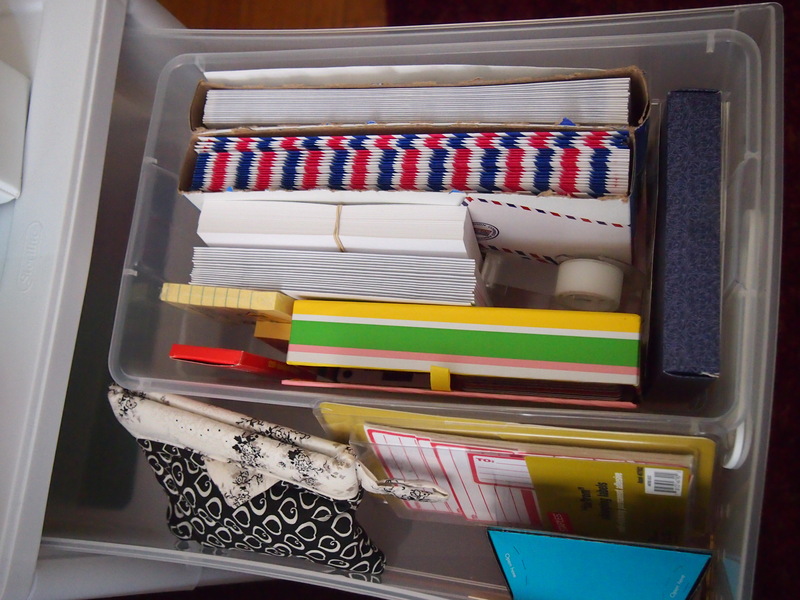 My envelopes and post its and stamps were floating all over the top drawer of my storage set and it was driving me crazy. This box holds all that junk and makes it look a little more organized. 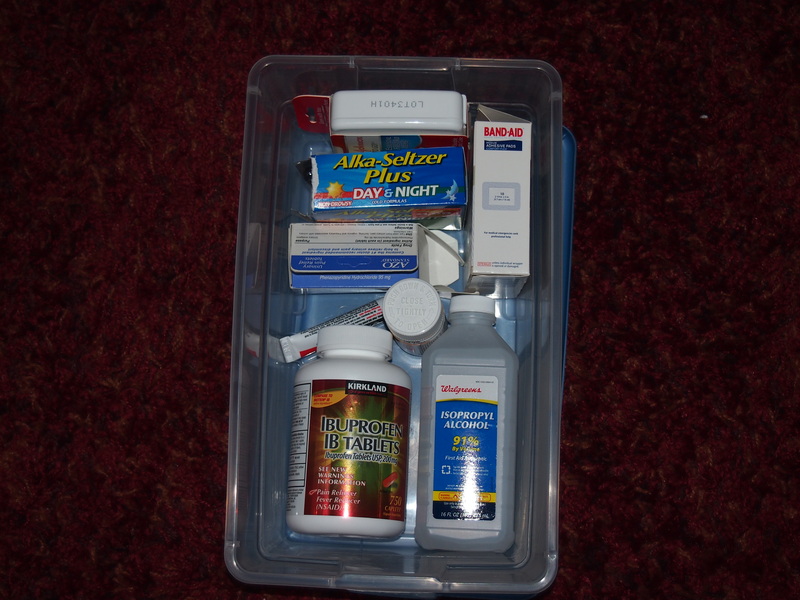 A medicine or first-aid kit. This is great if you have kids and you don’t want them to be able to get into all of the medications and ointments that you have. Just put them in a box like this and put it all the way at the top of your bathroom closet or wherever you keep your medication. I like this idea because all these bottles and boxes were just kind of tossed into my bathroom closet and it was a mess (it’s still a mess because I haven’t conquered it yet, but shhhh). I might have to go back for a couple more of these while they’re on sale. I was looking for a really cheap cupcake holder to transport my cupcakes to and from the cookout and I couldn’t find one for under $20 so I figure most of my mini cupcakes will fit in a box like this. 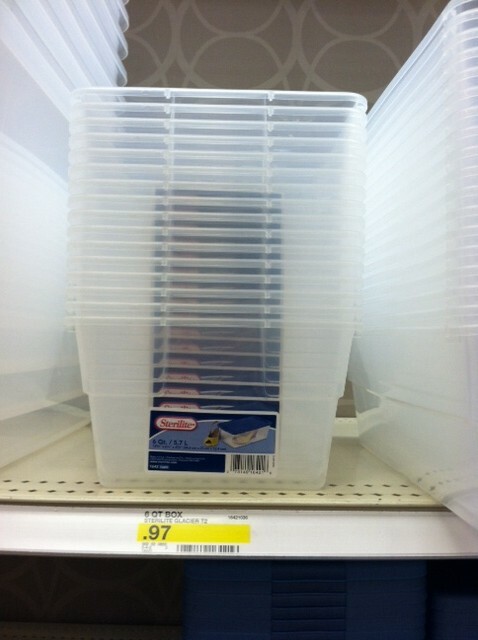 After I left the storage area of Target I went over to my favorite section… The school supplies! I found a really cute Blue Sky planner that was July 2012 – June 2013. I loved everything about it! 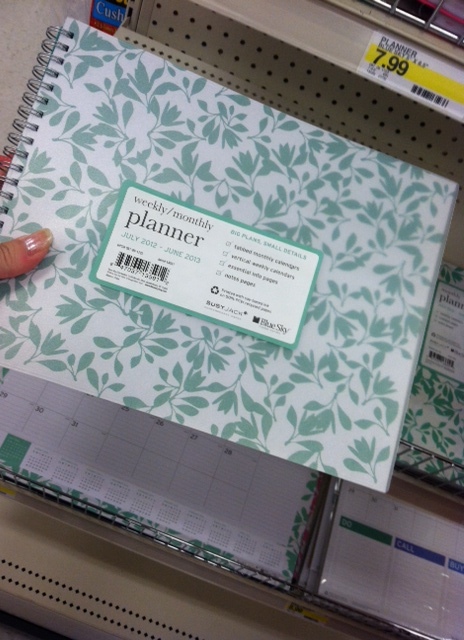 The design on the front and the inside was beautiful with built in To-Do lists and grocery list column, but I didn’t purchase it because it was a July – June and my planner will get me through December of this year. 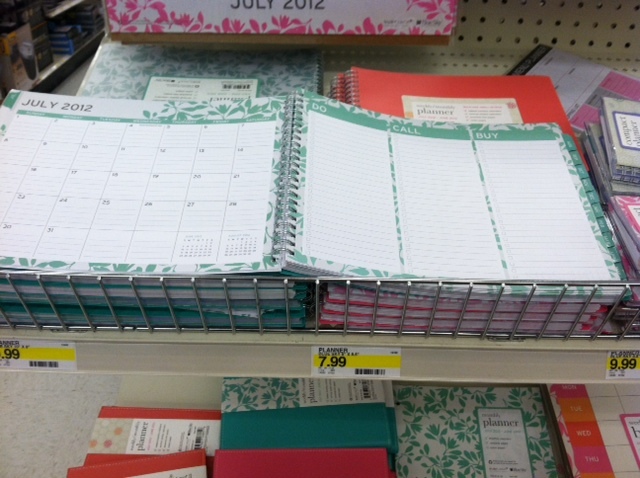 I just hope that I can find one similar when I’m ready to purchase a planner for next year. I don’t know if you’ve ever heard of these but I see them on Pinterest all the time. 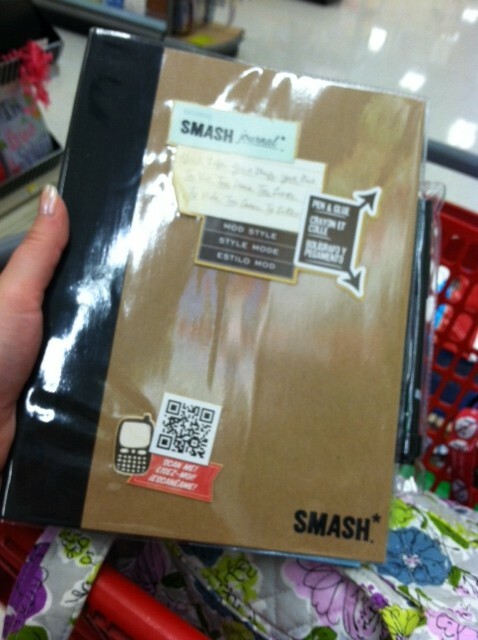 They’re called Smash books and supposedly they’re kind of like a casual scrapbook for people that don’t want to take too much time saving and pasting something. It sounds like a really cute idea but I didn’t purchase this either. I love actual scrapbooking too much – LOL! So my total for the items that I showed you today was $5.28 and that’s including the tax! I also purchased a 8 x 10 white frame for $4 that I needed for a project I’m working out but I excluded that from my total. And that concludes my post for the day. I think Target should be paying me to talk so good about them. If you work at Target or know someone who does, tell them to sponsor me or whatever! Haha, just kidding… unless you do know someone that works there, put in a good word. P.S. After I left Target last night I went and bought a new car! 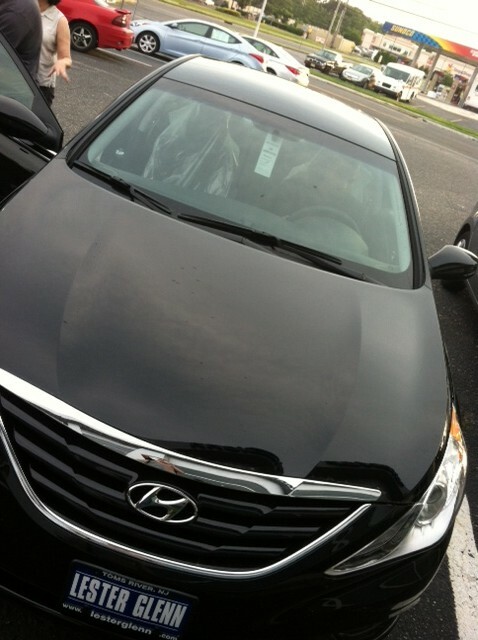 It’s a 2013 Sonata… Isn’t she pretty? !